The herbs in this antimicrobial ointment are styptic, helping to stop bleeding and minimize bruising. This ointment is ideal for minor scrapes and cuts, as it minimizes infections. 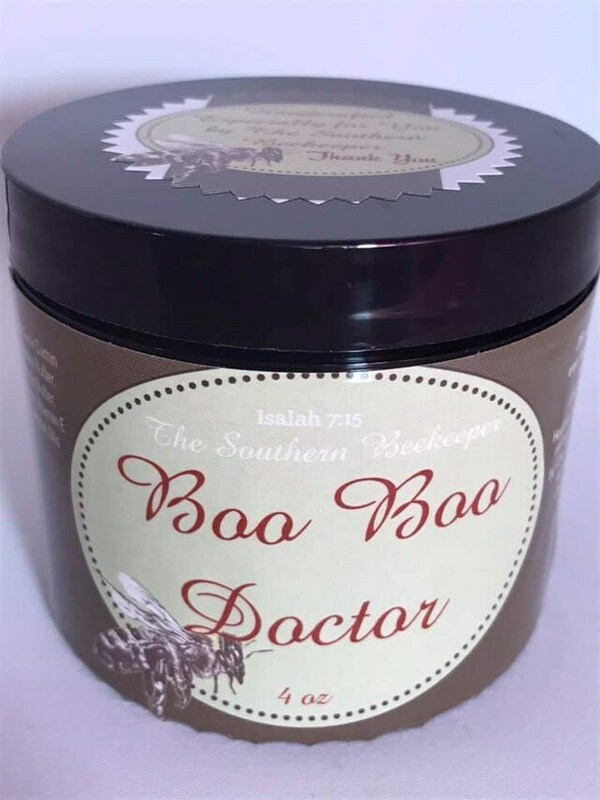 It is made up of with Black Cumin Oil infused with Chamomile, Calendula, Comfrey, Lavender, Plantain Leaves, and Witch Hazel; Beeswax; Jojoba Butter; Tangerine Butter; Vitamin E Oil, and Essential Oils. This is perfection! I ordered before and let me tell you, it heals and soothes everything! Miracle in a jar...Thank you! !